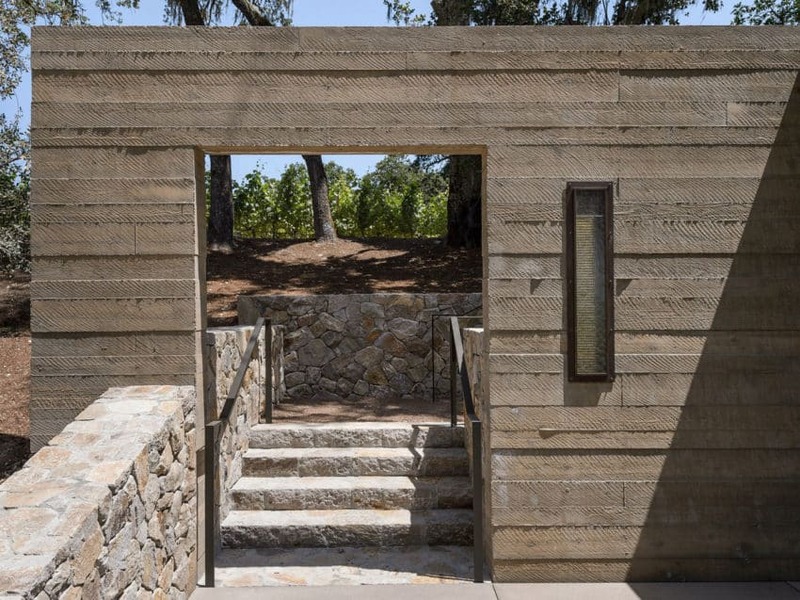 This trio of pavilions was designed by the American architectural firm Walker Warner Architects, and it is located within the Quintessa Estate Winery, a gorgeous wine property located in Rutherford, California, USA. 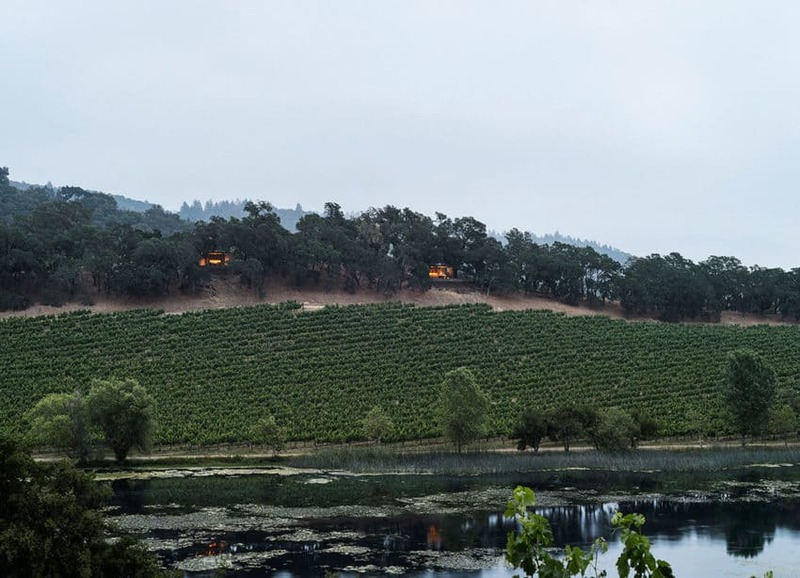 The estate covers an area of 280 acres, or 113 hectares, of stunning vineyards situated in the heart of Napa Valley. 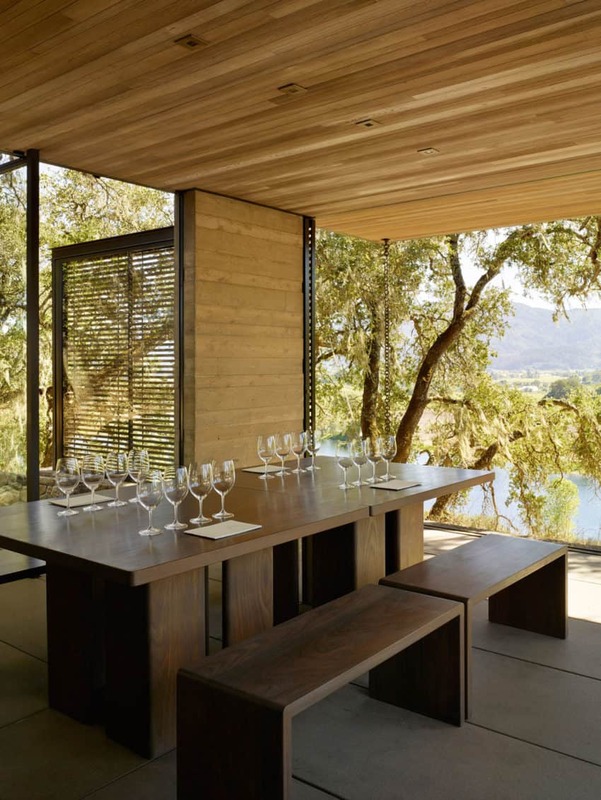 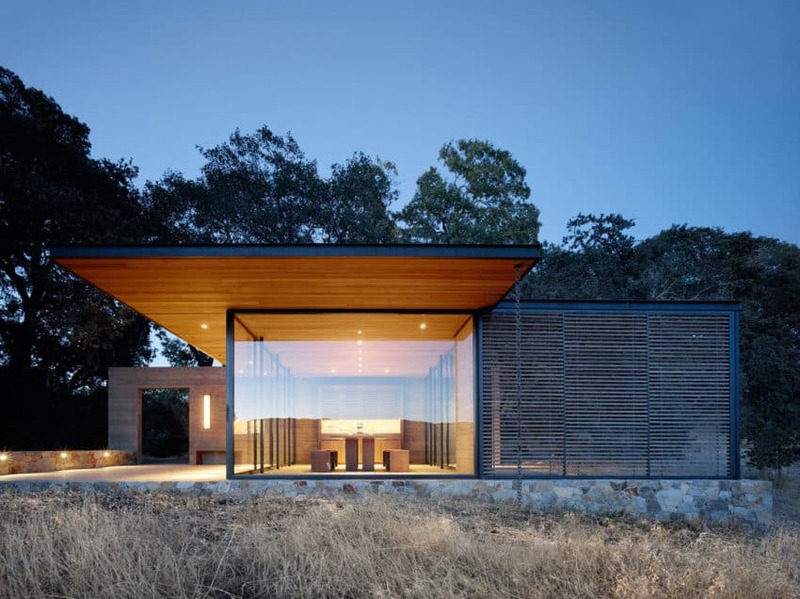 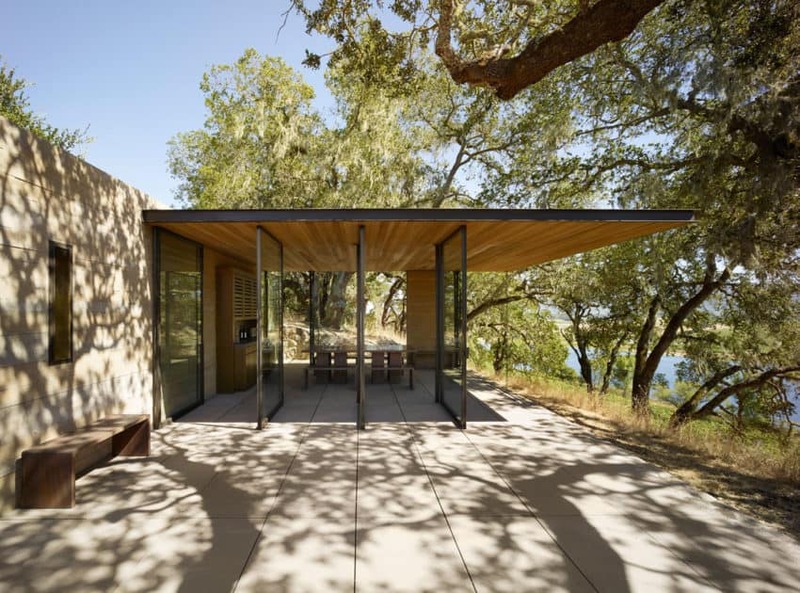 San Francisco-based Walker Warner Architects were actually involved in the original design of the Quintessa Estate Winery, which was completed in 2003, and so they were the obvious choice when the owners decided to add a trio of pavilions to the existing property. 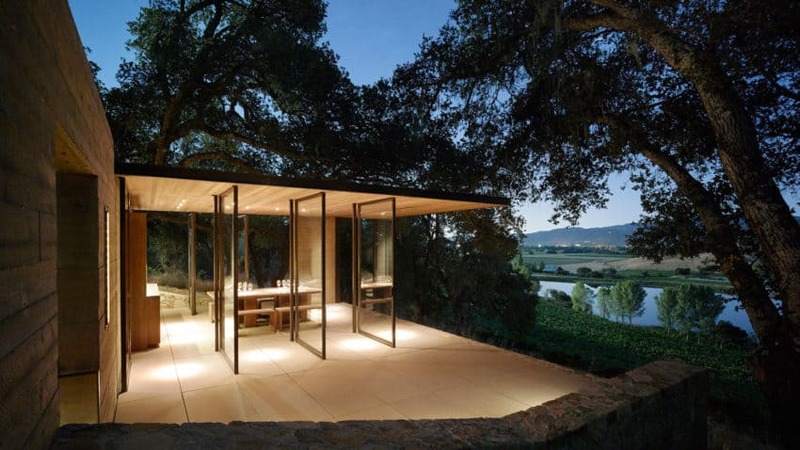 These new structures, covering an area 250 square feet, or 23 square meters, provides an immersive experience for wine-tasting guests, as it has retractable glass walls that allow them to experience the outdoors in any possible weather. 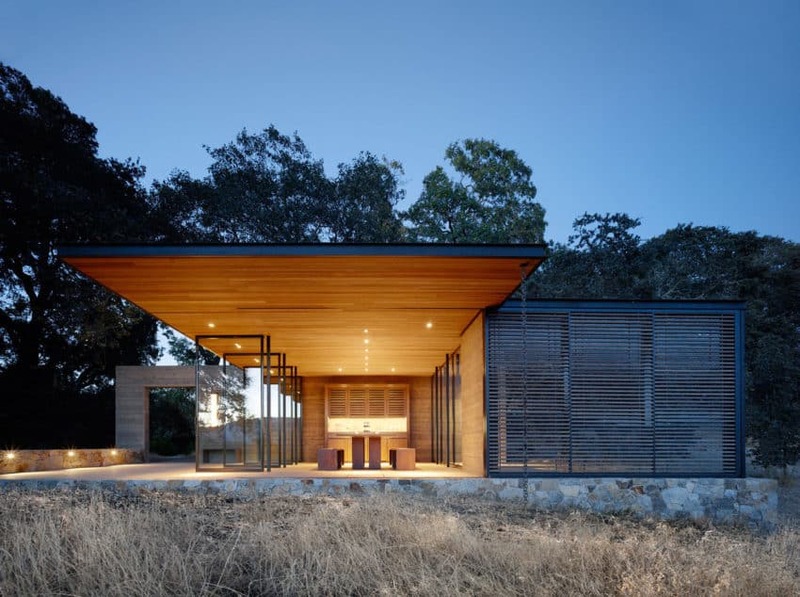 The architects’ intent, exercising the clients’ wishes, was to have these three new pavilions embody the fusion between architecture and nature, while keeping the continuity with the existing buildings of the estate. 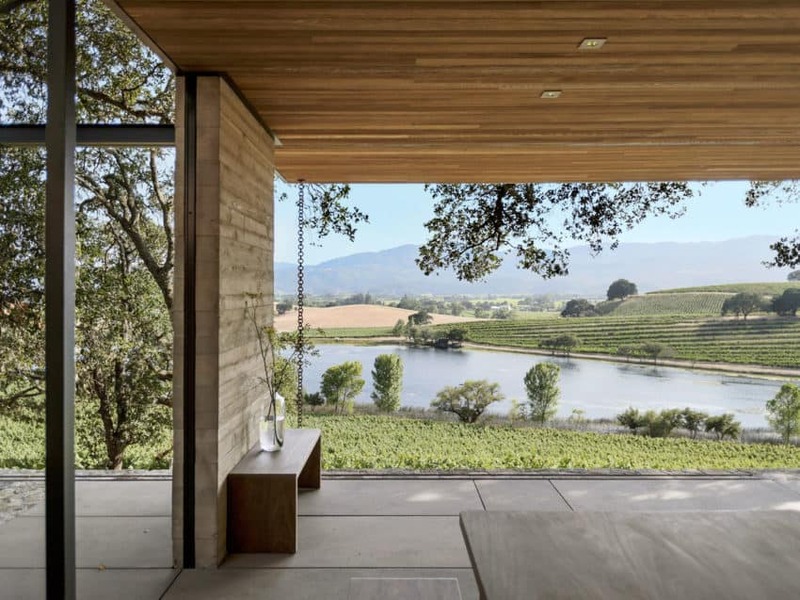 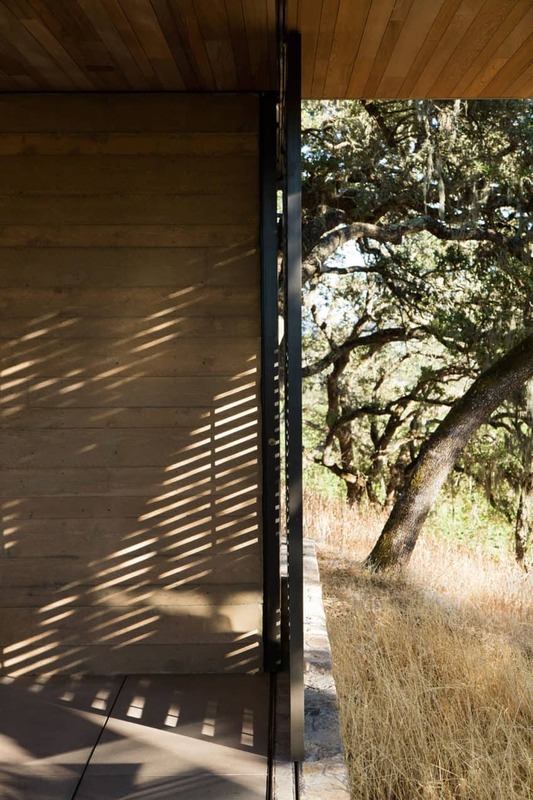 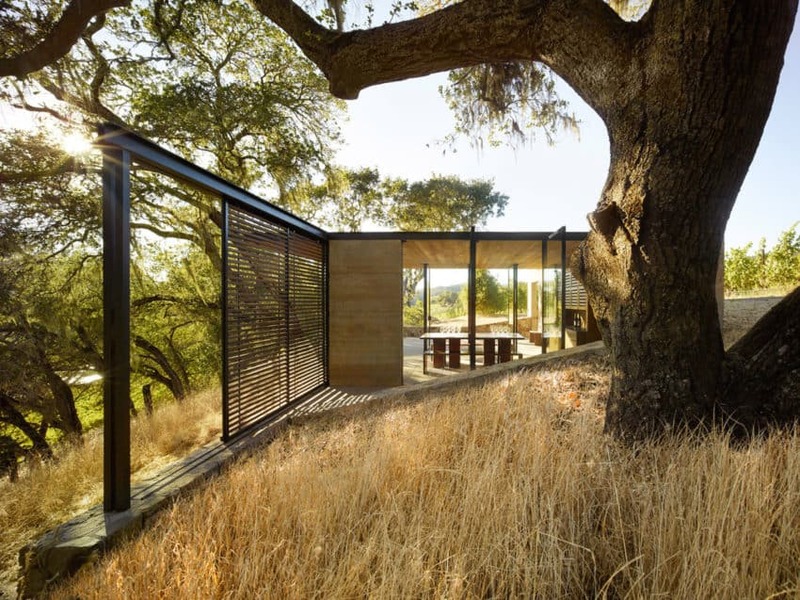 Indeed, the interior surfaces are mostly clad in rich wood, recalling the vineyard that populates the land visible from the pavilions, while all furniture is characterized by its rectilinear quality, blending these two concepts together beautifully.